(ORLANDO, FL— APRIL 20, 2012)—A dozen design projects from across the country were recognized yesterday with the first Coverings Installation & Design Awards. A total of $10,000 in prize money was handed out to winners. 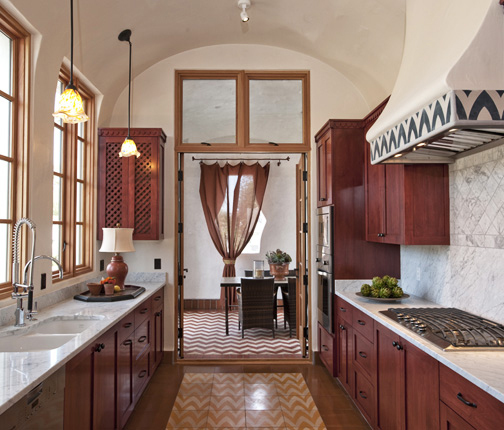 The honors acknowledge the superior installation of tile or stone and how that skillfulness impacts the level of aesthetics and contributes to the interpretation of a distinctive design vision. The top awards in this competition went to Santa Barbara-based Dan Upton Construction and Jeff Shelton Architect, who each received the Grand Prize in the commercial category. 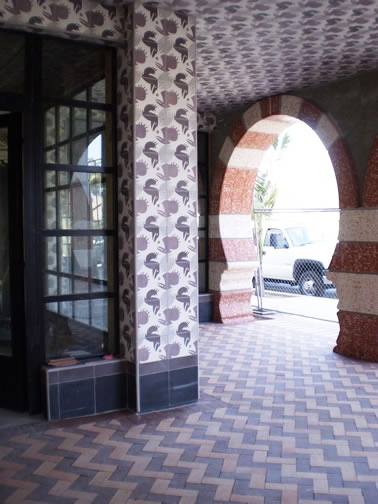 The entry earning Upton and Shelton the award was El Andaluz, a threestory, seven-unit condominium complex that impresses with its tile artistry and resonates with Moroccan influences. 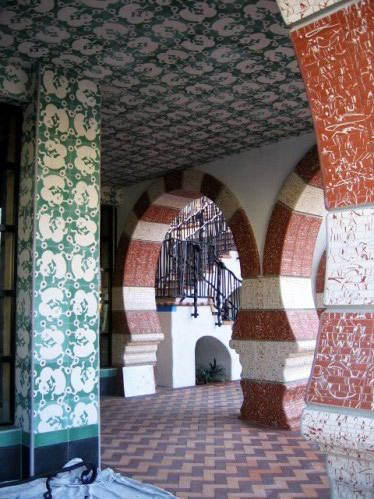 Centerpiece of the site is an open courtyard where the tile is fashioned into an exquisite mélange of decoration. Eye candy at every turn, the installation includes pillars and archways, stair risers and treads, benches and fountain. Contrasting colors and patterns create the visual dynamic that is irresistible.